Opened in 2013, Ras Fushi is the second Centara in the country. Centara Ras Fushi Resort & Spa Maldives follows the very successful formula of its older property, Centara Grand in South Ari Atoll and is a 4-star all-inclusive resort, but it can not be "premium", since its relative already bears in its name a status «Grand». Another significant difference will be the emphasis on 'adults only', rather than on the family atmosphere of the Centara Grand. The resort offers 140 rooms located along the coast and over the water on stilts (rooms can be reached via a long jetty). 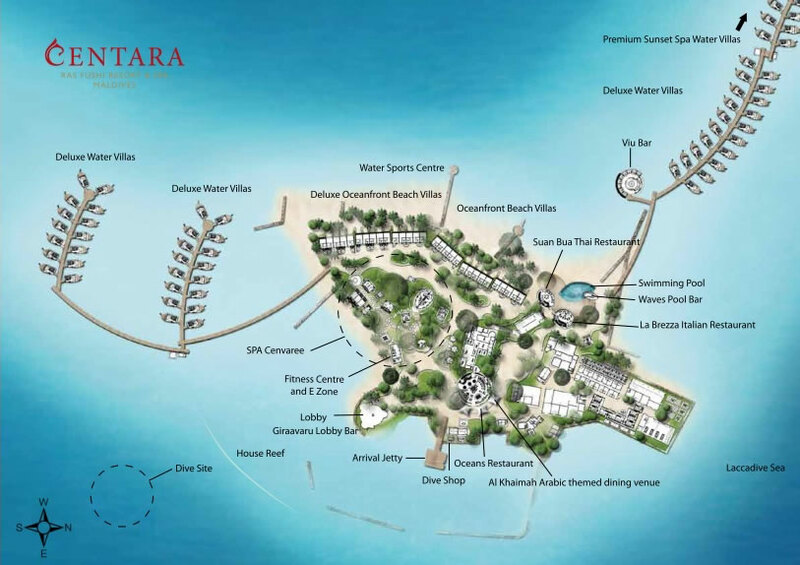 The Thai company Centara has two hotels in the Maldives that are known for their luxurious accommodation at affordable prices. Designed for couples (for guests over 12 years old), this resort is not the most beautiful island or the best house reef snorkelling, but the service here is exceptional and indeed a rarity in this price range. The buffet can boast a wide selection of European and Asian fare and three a la carte restaurants (Thai, Italian and Middle Eastern) and three bars - all together allow fun and pleasure to spend time on the island; Both half-board and all-inclusive plans are offered. All rooms have flat-screen TVs, DVD players, bathrobes and 24-hour room service, but private villas do not have umbrellas and the sun will be hot during the day. Fortunately, there are many water activities including an outstanding dive center and PADI courses for first timers of scuba diving. Wi-Fi is free. Centara Hotels & Resorts brand has 73 properties all over Asia with an emphasis on authentic Thai hospitality. This can be felt almost immediately upon arrival when the staff welcomes guests with warm smiles and enthusiasm. Guests are escorted to the check-in area where they are individually serviced for check-in and information about restaurants, spa and diving. After registration, newcomers and their luggage are get to their villas by a golf cart. The staff - even a general manager - often inspect the resort and they can always ask questions or seek help. There is even a weekly managers' beach party. Besides the successful scheme from this leading Thai hotel chain, the key selling point is its proximity to Male airport. Just 20 minutes by speed boat. 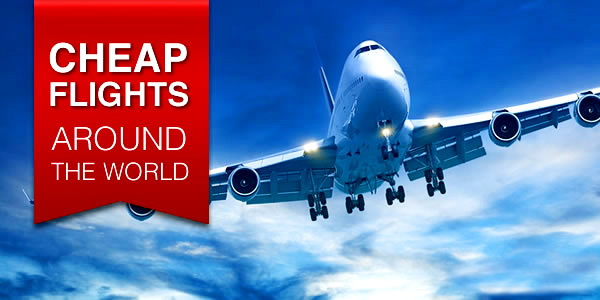 This means that the transfer is not only cheaper and faster, but also that guests arriving at night when the seaplanes do not fly can still get right to their resort. Since mainly flights from the East, on which night arrivals fall and since the management company is Asian, it is likely that a significant part of the guests here will also be Asian. The dive center operated by an independent company is also a great place to discover and there are many dive sites that you can choose after "Intro to Diving" course. The pool, beach and bar are also popular spots throughout the day and snorkeling gear and non-motorized water sports are included in all packages. Before sunset, some guests flock to the bar, although many go to their private patios or Viu bar with hammocks over the water, face to the west. For dinner, Asian guests usually delay early orders in a la carte restaurants while Europeans tend to absorb more before lunch and take on more late orders. For nightlife, we recommend to come back to Viu bar for creative cocktails and music or to Arabic shisha lounge. In general, here as it seems a little more nightlife than at other resorts in the Maldives. Centara has two resorts in the Maldives, but Centara Ras Fushi Resort & Spa Maldives is much easier to reach since it is only 20 minutes by speed from Velana (Male) International Airport. The resort is located on Giraavarn Island in North Male Atoll that is part of the Kaafu atoll that is a group of islands located around Male with wide range of resorts are located. After baggage claim area at the airport, guests are met by a hotel representative (usually in a numbered kiosk), and they are escorted to a speedboat. The island itself is tiny and lies on the edge of its own large lagoon, which is home to numerous water villas and is ideal for swimming around. Expect world-class diving in many nearby and well-known sites including the famous 'Victory wreck'. It would be an omission, not to say about the neighboring Thilafushi island. The interior of the island is externally less attractive than at other resorts, and the location of the island is also located next to the "Garbage/Trash Island". This artificial light-industrial island is the place where garbage from Malé and other islands is exported and utilized. The technology of this process has significantly improved in recent years, but for the sake of justice it should be said that it can be just occasionally to break idyllic species on the horizon. Despite this unpleasant fact, "trash" is not visible from most rooms and restaurants and the beach thanks to the clever architecture and layout where most species look in the opposite direction. 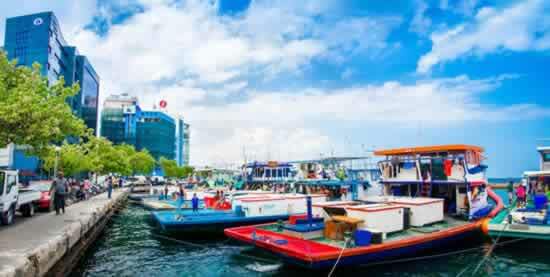 As the island is closer to Male city expect more sea and air transport in the area. Maldives is an independent nation in the Indian Ocean, consisting of 26 atolls and more than 1190 islands. Each resort (more than 120) is located on a private island with access to incredible marine life. At the house eef expect relatively good snorkeling, as well as excursions to some of the most popular atoll attractions, including the metropolis of Male. There are 140 rooms in three separate locations: actually on the island itself (west side) and over the water along one of the two jetties. One jetty splits into two small rows, and another is quite long, with a number of water villas on either side (villa guests at the far ends should expect long walks to get to the restaurants, pool and beach). The resort was opened in 2013, and the design is modern, although not luxurious. Each room has energy sensors - when the doors are open, the lighting and air conditioning are turned off. Accommodation offers five categories of rooms. All rooms have free Wi-Fi, a flat-screen TV, DVD players, air conditioning, ceiling fans, a fully stocked minibar, complimentary water, coffee and tea, and bathrobes. Ocean Front Beach Villas are located along the sand with direct access to the beach. Deluxe Ocean Front Beach Villas (also on the beach) have more space and hydromassage baths in the bathrooms in the open air. Deluxe Water Villas has either a king-size bed or twin beds, a private terrace with two sun loungers and a bathroom with a shower. Some of them are designated as sunset, i.e. face west. The views are stunning, but the deck chairs without umbrellas and the day sun can be quite hot. The luxury Premium Deluxe Spa Villas on the deck has a hammock and an outdoor jacuzzi. Dining is an important part of Ras Fushi experience and features all the basics of familiar Western food, with themed buffets and specialized Arabic, Middle Eastern, Italian, Chinese and Thai food options. For real taste of the Maldives this resort will probably leave a lot of people very happy. Compared with other resorts in similar price categories, Centara Ras Fushi has a great selection of food and drinks. In total, the island has three bars and four restaurants run by the Australian chef (quite characteristic) and the quality is supervised by Thai chef who shares time between the two Centara's resorts in Maldives. The menu changes daily and now offers 24-hour room service. Most guests prefer all-inclusive or GOLD ALL INCLUSIVE plans; Meals plan include all three meals at the main buffet, which varies daily (full board covers alcohol during lunch and dinner, while All-Inclusive guests can drink all day). The price for "half-board Plus" includes a delicious breakfast, lunch or dinner in the buffet, as well as alcohol during lunch or dinner (not both). Each buffet is stuffed with a large selection of quality European and Asian food (including dishes of Thai, Japanese, Chinese and Korean cuisine). For an additional fee, a la carte restaurants include Arabic, Italian and Thai options; The latter delivers on the table a set menu of four dishes. Reservations are required, and food on credit is offered for most plans. Live music is played on certain nights, especially in Thai and Italian restaurants whose tables are scattered around the main swimming pool. Three bars offer drinks: Giraavaru lobby bar, Waves pool bar (with swimming areas) and a Viu bar with seating areas and overhead hammocks, where the sunset is best observed. These bars open early in the morning; Viu is open until the last customer. Mini bar A daily replenished mini bar, with five soft drinks, two bottles of fruit juice, Perrier sparkling water, two beers, a bottle of Gin, a bottle of Bacardi, your choice of red or white wine, two chocolate bars, and a savoury potato snack. A daily replenished mini bar, with five soft drinks, two beers, two chocolate items and a savoury potato snack. Diving Enjoy up to 3 dives per villa, per week (7 days), as an alternative to spa treatment on selected days*. *Diving is now included. Guests can enjoy up to 3 dives per villa, per week (up to 3 times per 7 days) as an alternative to spa treatment on selected days. To enjoy to the full everything our vibrant island offers, there is the All-Inclusive plan, while Gold All-Inclusive is pure barefoot indulgence with relaxing moments at the island spa, culinary delights galore and exhilarating water sports. Centara Ras Fushi is a tiny island with fewer beaches than other islands, but the main one is next to the resort's swimming pool and offers plenty of sun loungers (no need to save space with towels). During the day the crowd is lapped in the pool, and on the outer edge there are sunbeds in the shape of a boat. Near the pool you will find a bar immersed into the water with music creating an atmosphere. The independent diving center is multilingual and offers PADI courses for all levels, including Intro to Diving, which can take place right on the house reef. Non-motorized water sports can be freely used with time constraints including SUP, kayaks and windsurfing. There is also a boutique and souvenir shop, a fitness center and a games center (both with air conditioning) on the island . Additional fun activities are available, such as cooking martini and cooking courses. Oceanfront Cenvaree SPA is the recommended place, consisting of nine massage and treatment rooms designed for individuals and couples, and an excellent place for Thai massage, as well as a manicure / pedicure salon. Centara Ras Fushi Maldives opened in March 2013 and reviews have since been finest. In fact, most guests state that they will gladly return for the second or third time, which speaks volumes about the resort industry. Guests are delighted with the service as well as the food and spa services. The rooms are classified as beautiful, tastefully done and spacious, with an airy feel. If the reviews mean a lot to you, then this hotel will be one of the best options for consideration. Water villas with separate decks are very spacious, best on the north side. Also the room is cleaned twice a day! Gym and lots of free entertainment.